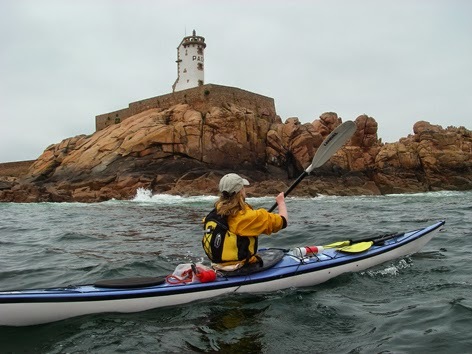 There is something special about Breton lighthouses , particularly when viewed from a sea kayak. This is a selection of some that I have seen over the years. Not all of the photographs are of the best quality as some were scanned from slides. 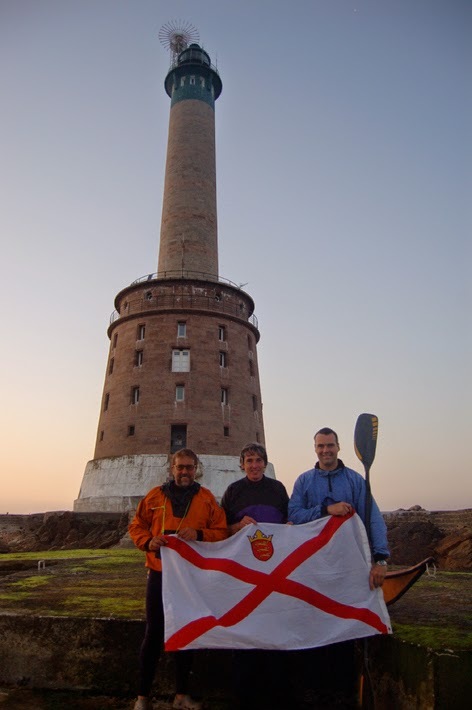 That said Breton lighthouses are amongst the most unique maritime buildings encountered anywhere and it is always a treat to visit them by sea kayak. Ile Louet is situated in the Baie e Morlaix, near Roscoff on the north coast of Brittany. 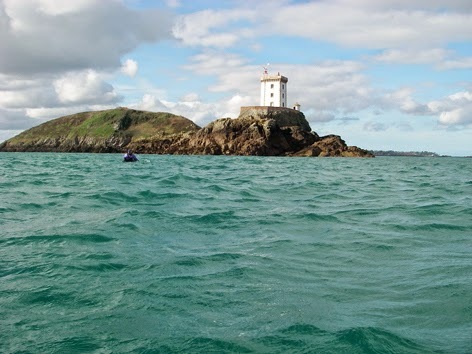 25 nautical miles west of Corbiere is the Roches Douvres. The light was finished being rebuilt in 1954 after it had been destroyed by the Germans 10 years before. 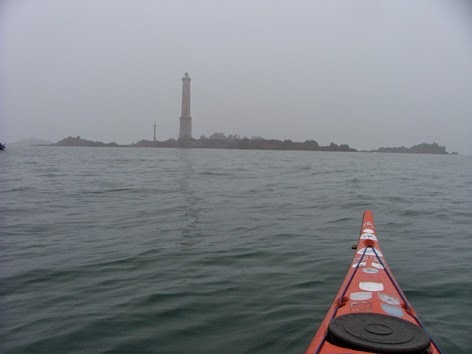 We raised the Jersey flag but the following morning it was a serious crossing of 25 miles in dense fog. I have to admit that we felt pretty isolated the night we spent on the reef. L’Ost Pic is located just to the south of Paimpol. Built in the 1890’s I have to admit that the last time I landed there I ended up swimming. 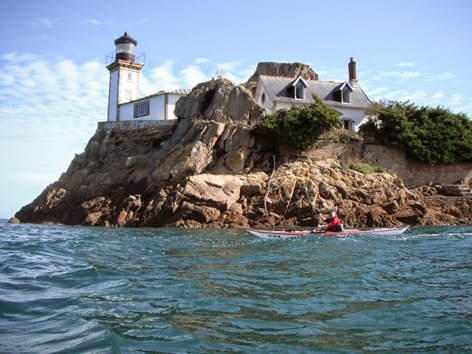 Phare du Paon is situated on the north coast of Ile de Brehat, this is ome of the finest sea kayaking you could find anywhere. It was originally built in 1860 but like so many lighthouses along this coast it was blown up by the Germans in1944. It was rebuilt in 1949. Another lighthouse blown up by the Germans, this light, Le Grand Jardin, marks the approaches to St Malo. It was rebuilt in 1949.